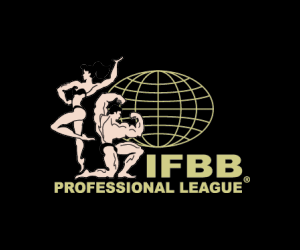 The 2012 IFBB Pro League season wraps up this weekend in Miami, Florida with the Masters Olympia and Pro World Figure, Bikini and Fitness Championships. The Masters Olympia returns after a nine-year hiatus, with the best over-40 bodybuilders in the world competing for $200,000 in prize money – including a $100,000 first-place check for whoever comes out on top. The last time the contest was held was in 2003, when Claude Groulx became the sixth winner in contest history, beating out Johnny Stewart (2nd), Darryl Stafford (3rd), David Hawk (4th) and George Tuman (5th). No offense to history, but that lineup pales in comparison to what will take the stage in Miami. For starters, this marks only the second time in Master’s Olympia history that a Mr. Olympia winner will be in the lineup. Chris Dickerson was the first, competing in the inaugural Masters Olympia in 1994. But that contest came 12 years after Dickerson’s 1982 Olympia win, meaning Dickerson was well past his prime. This year, a rejuvenated Dexter Jackson headlines what promises to be the most competitive Masters Olympia lineup in history. Five years removed from his win in 2008, the 43-year-old Jackson was seemingly on the downside of his career with several subpar outings over the past two seasons. But a fourth-place finish at this year’s Olympia – where Jackson arguably looked the best he has since 2009 – put The Blade back among the elite. Now, he’ll look to solidify that status with a win in Miami. 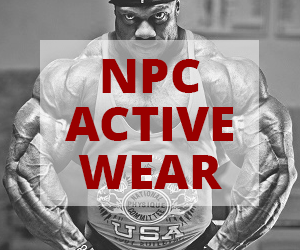 But Jackson is just one of many in what amounts to the most decorated Masters Olympia lineup of all time, one which includes a record nine competitors with IFBB open division wins. Other than Jackson, Toney Freeman, Johnnie Jackson, Dennis James, Troy Alves, Bill Wilmore, Ed Nunn, Darrem Charles and Michael Kefalianos all have at least one professional win on their resumes. 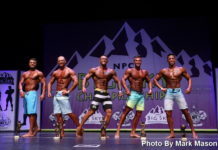 The only lineup that comes close is the 1994 Masters Olympia, which boasted a lineup of seven previous winners – Robby Robinson (1st), Lou Ferrigno (2nd), Boyer Coe (3rd), Chris Dickerson (4th), Danny Padilla (7th), Bill Grant (8th) and Ed Corney (9th). Candice Lewis and India Paulino, two of the best in the world in their respective divisions, lead the way on the women’s side this weekend. In Figure, Lewis will look to complete a historic run in the division. A win here will give Lewis five victories this season – tying her with Nicole Wilkins and Erin Stern as the most ever in a single season. Lewis, who turned pro at the 2011 Junior Nationals, has wins in Omaha, Chicago, Ft. Lauderdale and Houston this year. Her toughest test should come from another rookie in Kamla Macko, who matched up well with Lewis the last time the two stood on the same stage. Macko, who turned pro at the USA Championships in July, has already put together a rookie season to remember, placing in the top five in all three of her professional contests to date – including back-to-back runner-up finishes in her last two. One of those second places came to Lewis at the Ft. Lauderdale Cup in October. In Bikini, India Paulino returns to defend the title she won a year ago. Since turning pro at the 2011 Junior Nationals, Paulino has four wins and eight top-three finishes. A win here would be her third of the 2012 season. But Paulino isn’t the only competitor in the lineup looking for her third win of the year. Florida has already been kind to Yeshaira Robles this fall, where the second-year pro notched both of her IFBB wins in a two month span at the Valenti Cup and the Ft. Lauderdale Cup. A win here – and a win over Paulino – would go a long way in elevating Robles to elite status.